This story starts on October 27, 2014, on the very first day of the very first week of a 4-week challenge organized by Neghar Fonooni. I had signed up because I’d started this new practice to say YES to things, in order to push myself further out of my comfort zone. And, full disclosure, I also figured that I’d be free to drop out at any point, because no one would judge me for it, right? I expectantly pulled out the challenge calendar, only to find out that the first task was to start a gratitude journal. I didn’t want to start a gratitude journal. I repeat: I DID NOT WANT to start a gratitude journal. Truth be told, it made me very uncomfortable. But wait, hadn’t I signed up for this challenge precisely to get out of my comfort zone? I sighed, told myself through gritting teeth that I’d give it a try, took out my iPad (because I certainly wasn’t going to get myself an actual, physical journal! ), and jotted down three things for which I was grateful that day. 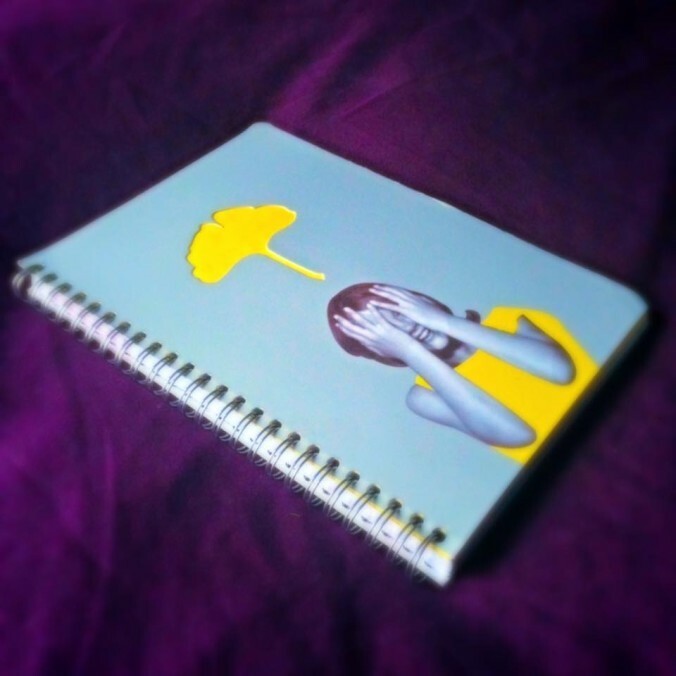 Two weeks prior to that morning, on my birthday, I’d received—you’ve guessed it!—a journal! Of course, I would promptly remember that journal, dig it up, and thus commence my gratitude journaling journey. While I believe there is no right or wrong way of doing this, I’ve been asked on several of occasions to share my practice, so I figure here’s as good a space as any. Remember, this is my personal practice, and yours may look completely different. What I try to write down is not only what I’m grateful for, but why I’m grateful for it on that particular day. We’ve talked before about the importance of naming your feelings—the clearer the words you can use to describe, the more accurate picture you get. More depth, more nuances, and even more things to be grateful about! I’ve been grateful for things as profound as living in a war-free area of the world, and as superficial as a cute and comfy headband. This is a completely judgment-free area, and no form of gratitude is more virtuous than another. For this practice to stick, you have to find what works for you. Sometimes, the simple act of writing down things for which we’re grateful can feel very… artificial. That’s totally ok.
Like learning to speak a new language, there are natural moments of awkwardness to be expected. But it’s implementing the practice that’s important; it’s developing that reflex or, as I’ve heard it called before, “an attitude of gratitude”. There are moments where gratitude is the furthest thing from my mind. These are usually the moments where—more than ever—I need to sit down and do the work. It ALWAYS feels uncomfortable at first, but it usually helps me clear a space in my mind, and see a clearer picture. If anyone had told me that a year ago that I’d become such an enthusiastic practitioner, I wouldn’t have believed them. I probably would have just given them a polite smile and nod. You know which one I’m talking about! In fact, it’s been so transformative that it pushed me to do crazy things! Several months ago, at a division meeting at my former workplace (the kind where a hundred people are in attendance), one of the senior directors was relaying information she’d gathered at a recent conference. The presentation in question turned out to be on strategies to be happier and more creative in the workplace, by none other than positive psychology expert Shawn Achor! Just as she mentioned gratitude journaling—quickly admitting that she had trouble with the idea—I did the unthinkable: I stood up, grabbed the microphone, and shared my experience with the group. This is how powerful this practice can be: making this über-shy-introvert-who’d-rather-hide-behind-her-screen-all-day-than-have-to-make-small-talk square her shoulders, stand up before a large group of people, and share a very personal story. 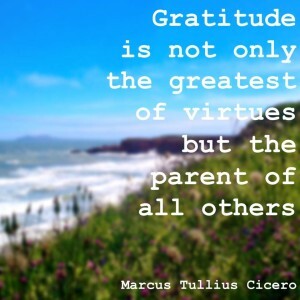 I never expect was the profound influence that my gratitude practice would have on my entire life outlook. 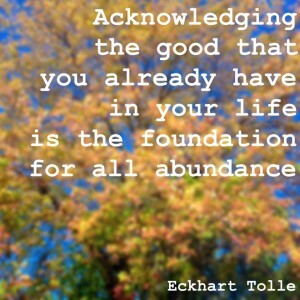 I now consider it to be sort of a “gateway drug” to abundance. Obviously, I’m not asking any of you to stand up in front of a crowd. However, if you don’t already have a gratitude journaling practice, I encourage you to try, even if you feel somewhat “meh” about it. Especially if you do, in fact! Tempted by the idea of a gratitude practice yet daunted by the prospect of doing it alone? I’ve got your back! The Gratitude Practice Companion is a 7-week training series designed to help you establish a solid and sustainable gratitude practice of your own, and reap all of its benefits in your daily life. How does improved health, stronger relationships and increased resilience sound? Interesting? Discover the Gratitude Practice Companion here!